Partner Energy has provided marketing support, conducted energy audits, and provided energy efficiency consulting services for energy efficiency programs around the country. Many of these programs resulted in receiving project level financing. Partner Energy, Inc. secured three grants of approximately $1,000,000, $550,000 and $200,000 for a total of $1,750,000 for our clients as part of the New Jersey Housing and Mortgage Finance Agency (NJHMFA) weatherization program. Partner Energy was selected by three different owners of low-income multifamily properties to help qualify the clients for grant funds from the NJHFMA weatherization program. The projects consisted of lighting upgrades, HVAC system upgrades, weather stripping, insulation, building controls, window replacements and low-flow fixture installation. Whole building energy models calibrated within 10% of the actual monthly utility bills were used to calculate existing system energy loads, projected energy, and cost savings of the identified energy efficiency measures. Partner Energy has also provided construction management for the installation of the energy efficiency measures. Partner Energy, Inc. secured two (2) grants of approximately $140,000 and $210,000 and two (2) low interest loans of approximately $440,000 and $640,000 for a total of $1,430,000 for two (2) properties as part of the New Jersey Pay for Performance program. 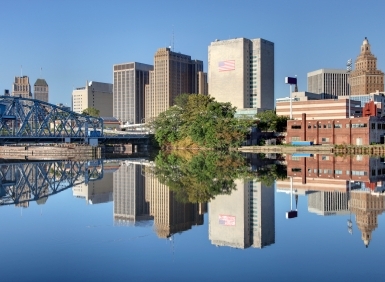 Partner Energy was selected to perform energy audits on two 400,000 SF facilities to help them qualify for grant and loan funds from the NJ Pay for Performance program and the NJHFMA. The projects consisted of boiler replacements, chiller replacements, low flow plumbing fixtures, improved thermostat control, variable frequency drive circulation pumps, and variable frequency drive fans. Whole building energy models calibrated within 10% of the actual monthly utility bills were used to calculate existing system energy loads and projected energy and cost savings of the identified energy efficiency measures. Partner Energy responded to a RFQ from Los Angeles Enterprise Community Partners for energy consultants to conduct energy audits of multifamily housing for the Los Angeles Green Retrofit Initiative. Partner Energy was one of five respondents that were selected and approved as a consulting firm for participants of programs to use as they receive awards for energy audits. The first round of audits performed was open bid process with the winner being selected by the owner. Partner Energy was selected for projects by 3 of the 5 owners to perform energy audits on 5 properties. The second round of audits Partner Energy was awarded 3 audits by Enterprise Community Partners, plus an additional 2 audits by the owners. All audits resulted in the owners being awarded Energy Efficiency Conservation Block Grant (EECBG) funds either through the Los Angeles Housing Department or the Los Angeles County. Whole building energy models calibrated within 10% of the actual monthly utility bills were used to calculate existing system energy loads and projected energy and cost savings of the identified energy efficiency measures. Partner Energy, Inc. was one of 2 firms approved statewide by the State of California Community Services and Development Department to provide energy audits for low income multifamily properties utilizing the TREAT modeling software. Partner Energy has successfully completed more then 20 projects of this type. 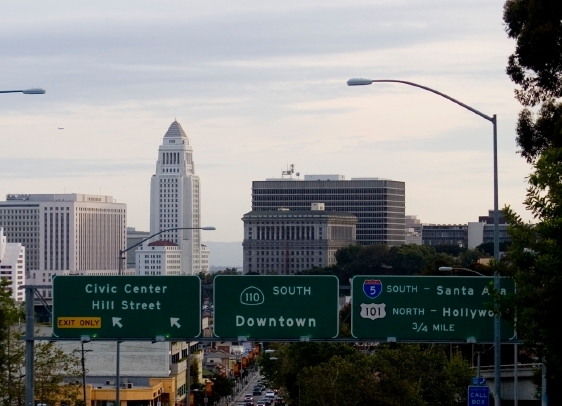 The City of Los Angeles (The City) issued a RFP to provide ASHRAE Level I Energy Audits on 10 municipal buildings and validation of ASHRAE Level I Energy Audits on 115 municipal buildings. The City was looking for a firm to complete the work in one (1) month to meet their funding requirement timetable. Through a competitive bid process, Partner Energy was selected by The City to provide energy efficiency consulting services by demonstrating a superior work product and from references from previous projects demonstrating the ability to meet short time frames. Partner Energy not only met The City’s time and scope requirement for the first round of work, but also helped The City develop a cost effective work scope for additional energy efficiency work to qualify for EECBG funds.